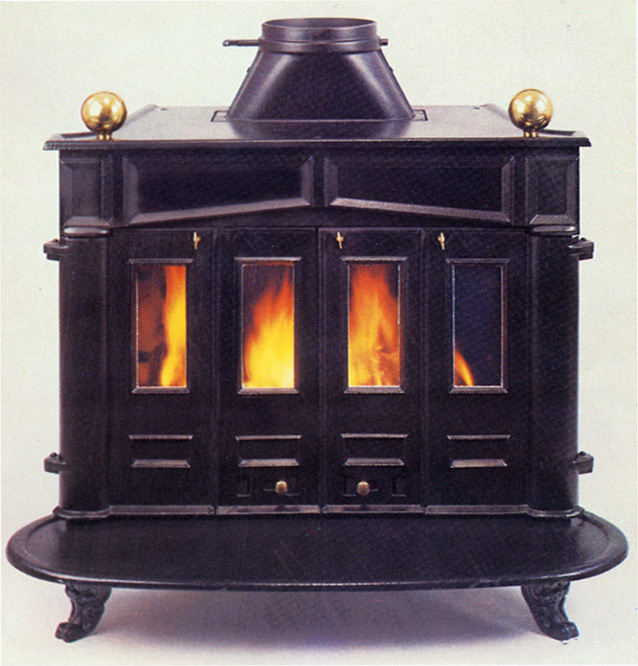 The Medium Country Franklin stove is a big stove designed to be able to run with the doors open or shut. is now available with glass doors only. so that the stove will look like a big open fire place. There are 2 balls on top of the stove - option to remove same. This stove is multi fuel & wil burn wood & coal. Brass knobs for a reason! Stove expert replied: Yes couldn't agree more. 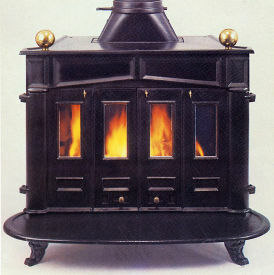 The Franklin is a fireplace/stove hybrid and not a modern efficient well sealed stove. They can throw out some heat though - I used to have one which effectively heated a 10 x 5m room.